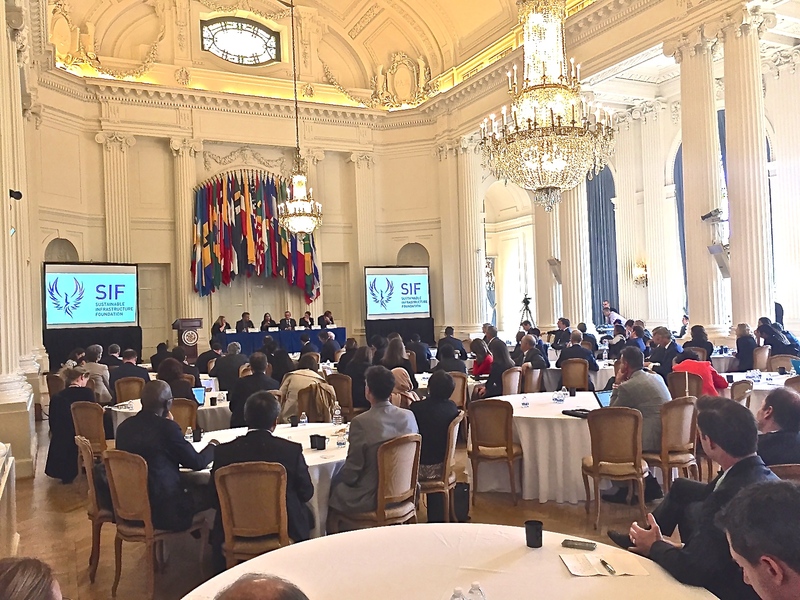 The Sustainable Infrastructure Foundation (SIF) held its 2017 annual meeting in Washington D.C. on April 19th, hosted by the World Bank, bringing together Development Banks, and leaders of international sub-national government networks such as AER, FMDV, ICLEI, ORU-Fogar & R20. The agenda focused on the launching of Source (a global scale software that supports the preparation of high quality infrastructure projects in a transparent and efficient way) and calling for a joint effort to strengthen support in scaling-up project preparation processes for green. In line with the Cities Climate Finance Leadership Alliance’s (CCFLA) recommendations exposed in its reference reports during COP21 and COP22, the world lacks consistent and standardized support to subnational governments and their partners for raising pipelines of bankable sustainable, resilient and low-carbon projects. 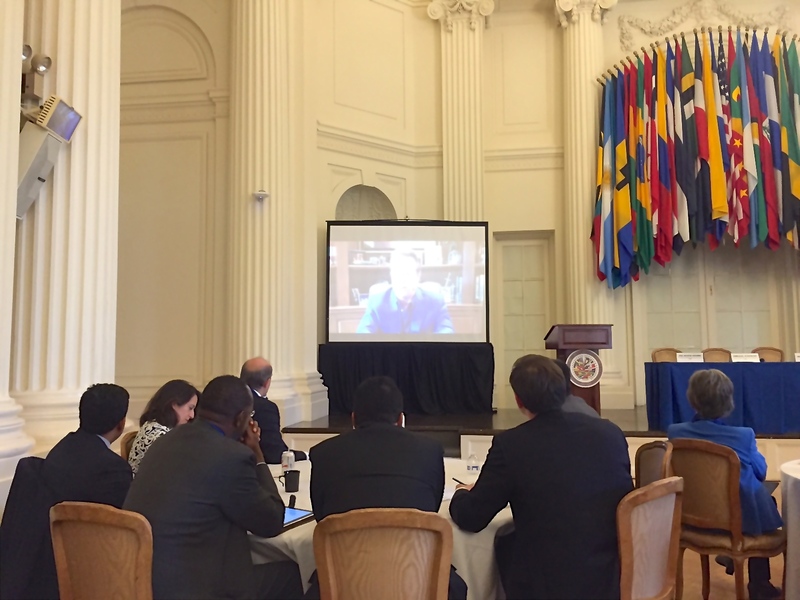 Founder of R20 Regions of Climate Action & Former Governor of California Mr. Arnold Schwarzenegger delivered an impactful video message to the attendees asserting his commitment to transitioning away from polluting fossil fuels towards a clean energy future through building a road map to a sustainable world for all. In June of 2016, R20 with support from the Leo DiCaprio Foundation the 100 Climate Solutions Project Campaign was launched with the purpose of identifying 100 hundred renewable energy, energy efficiency and waste management infrastructure projects from around the world. R20`s global networks of sub-national governments contributed greatly to the Project Identification stage of the aforementioned value chain. To date, over 450 suitable infrastructure projects have been identified, and are ready for the next step – Training & Capacity Building. Based on R20’s strategic partnership with SIF, Source is ready to be implemented on global scale with a series of trainings to support sub-nationals that are willing to structure their projects according to development banks’ standards. The use of Source will significantly help sub-national governments to strengthen their own capacities and access finance; Source will also provide reference standards that shall inspire other project preparation facilities, bringing a multiplier and catalyzer result-based approach. The annual meetings concluded with R20 being recognized for its exemplary and illustrative leadership in bringing sub-national infrastructure development while integrating a unique value chain and ecosystem of blending finance through the mix of Project Identification; Training & Capacity Building; Project Preparation Facilities; and Financing of investment-ready projects. The leaders of major international sub-national government in attendance signed a declaration in support of launching Source on a global scale as the standard project preparation software to maximize public sector users’ financing options by providing well-prepared projects in a consistent and transparent way to the international community of contractors, investors and lenders. 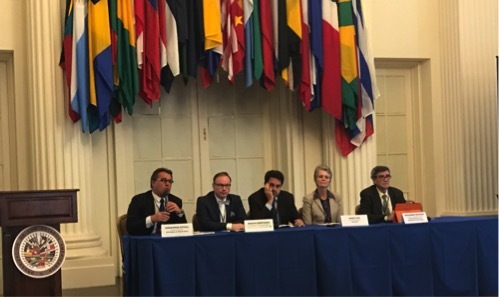 The declaration also supported the call for a joint effort to strengthen support in scaling-up project preparation processes for green infrastructure implementation at local and subnational levels of action. Support to the implementation of the Marrakech Roadmap for Action on Localizing Climate Finance adopted during COP22, which points to CCFLA as the major catalyzer for its implementation. Attendees of the SIF annual meeting included Ms. Laura Tuck, VP of Sustainable Development for the World Bank Group, Mr. Almaz Galiev, Principal Public-Private Partnership Specialist, Asian Development Bank, Christophe Dossarps, CEO, Sustainable infrastructure Foundation, SIF, Mr. James Close, Director, Climate Change Group, World Bank Group, Terry Tamminen, CEO, Leonardo DiCaprio Foundation, Dr. Patrick Scheurle, CEO, Blue Orchard, Mr. Lawrence Carter, Senior Director of the Public Private Partnerships, World Bank Group & Dr. Christophe Nuttall, Executive Director of R20 Regions of Climate Action plus many more distinguished representatives whose core concerns focus on building a sustainable future for all.